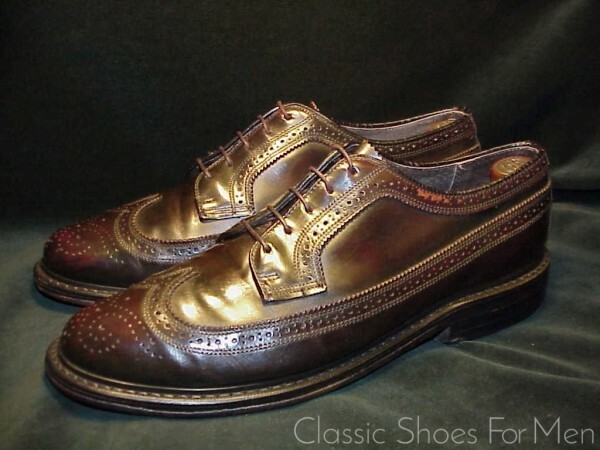 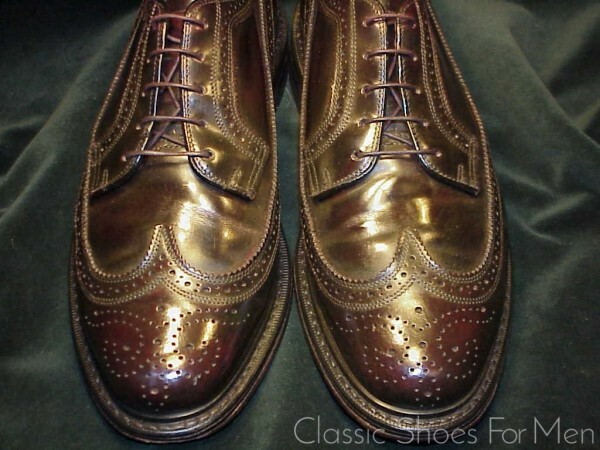 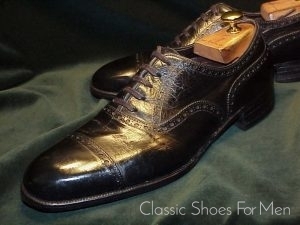 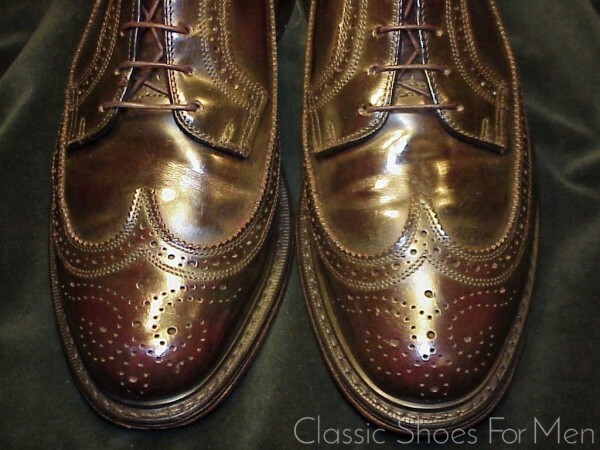 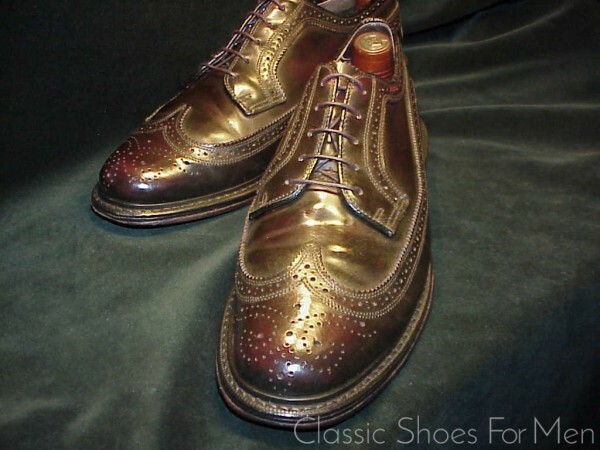 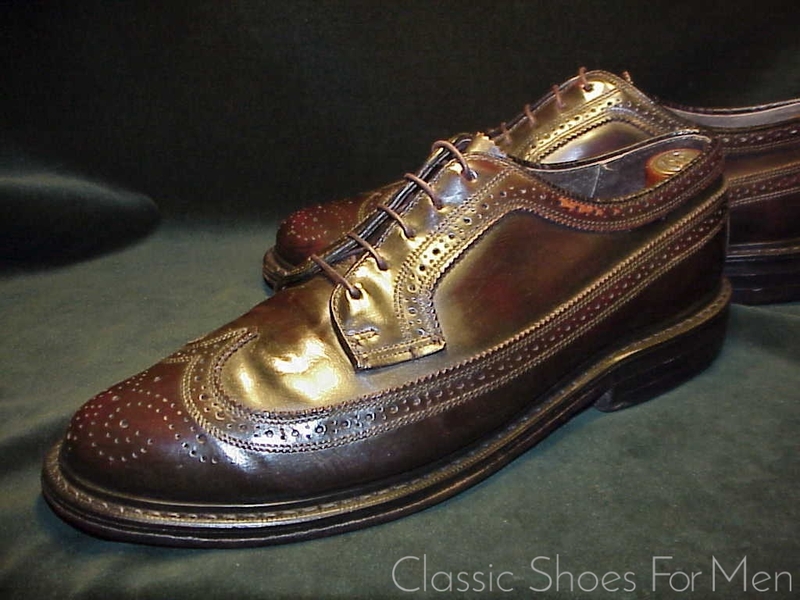 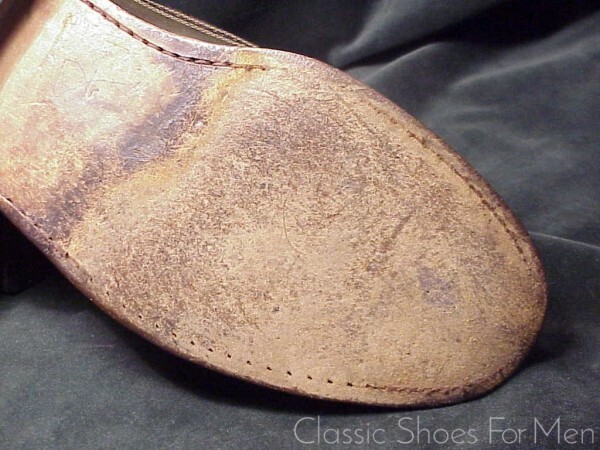 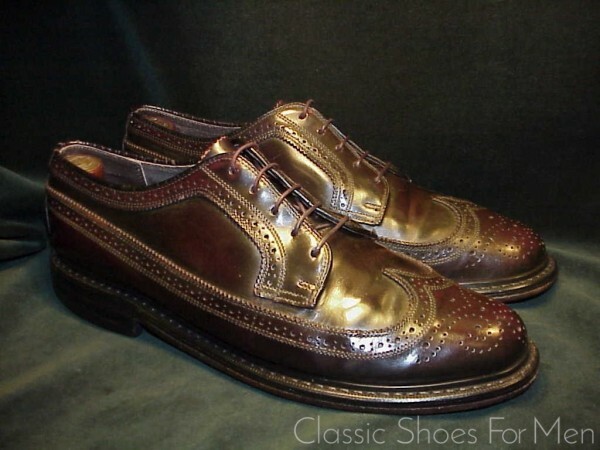 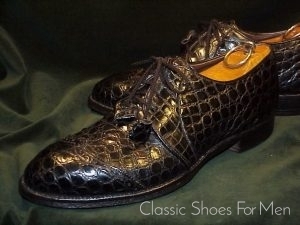 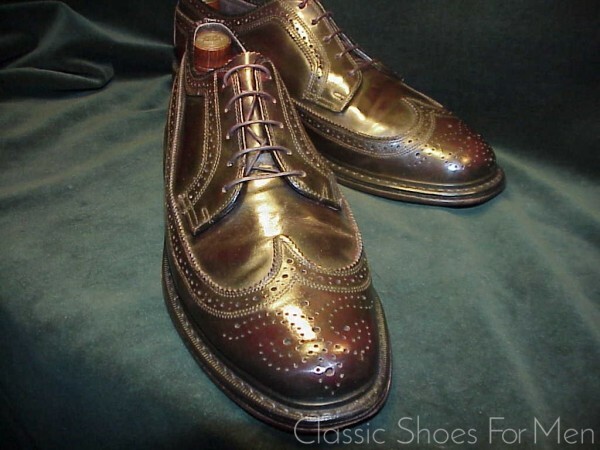 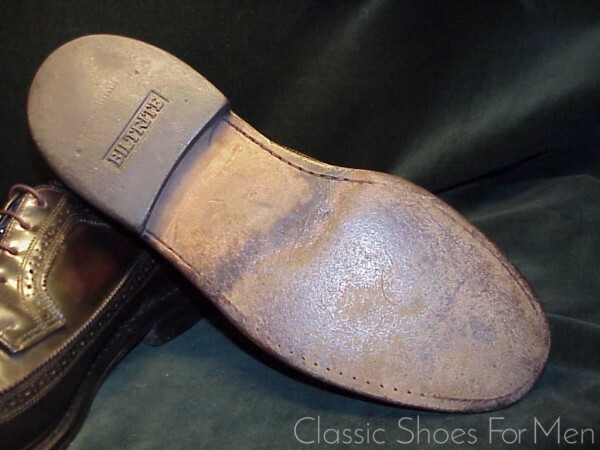 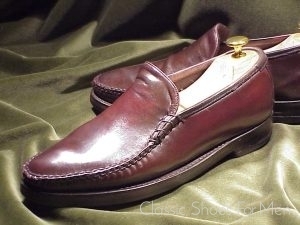 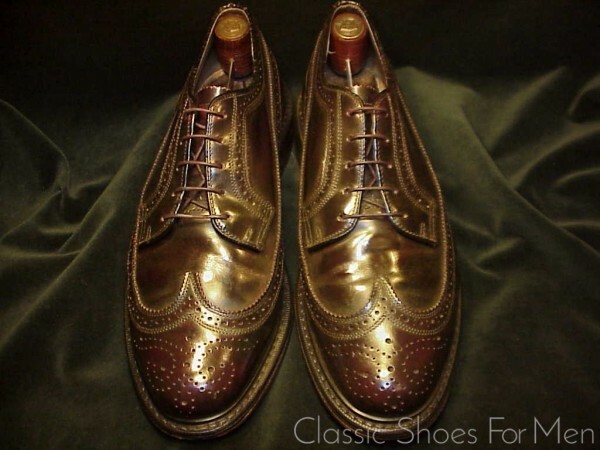 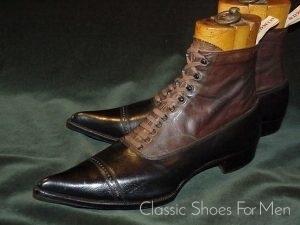 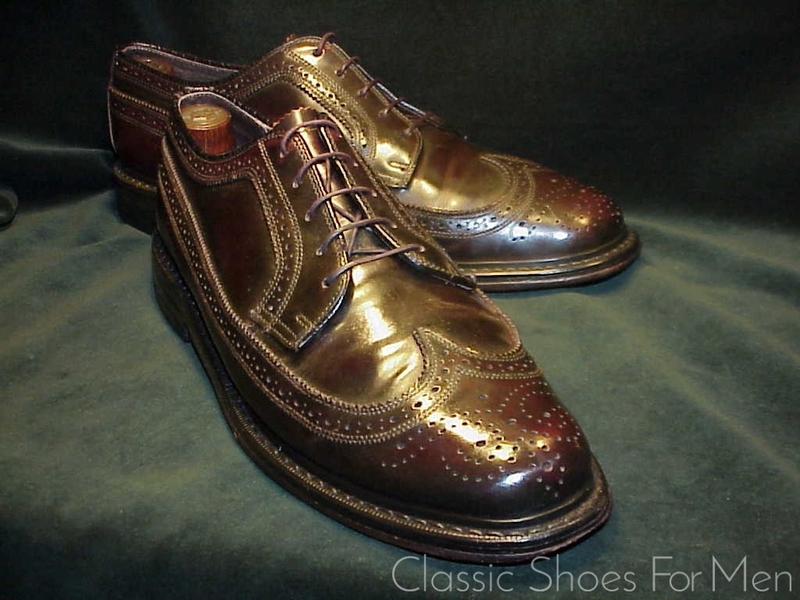 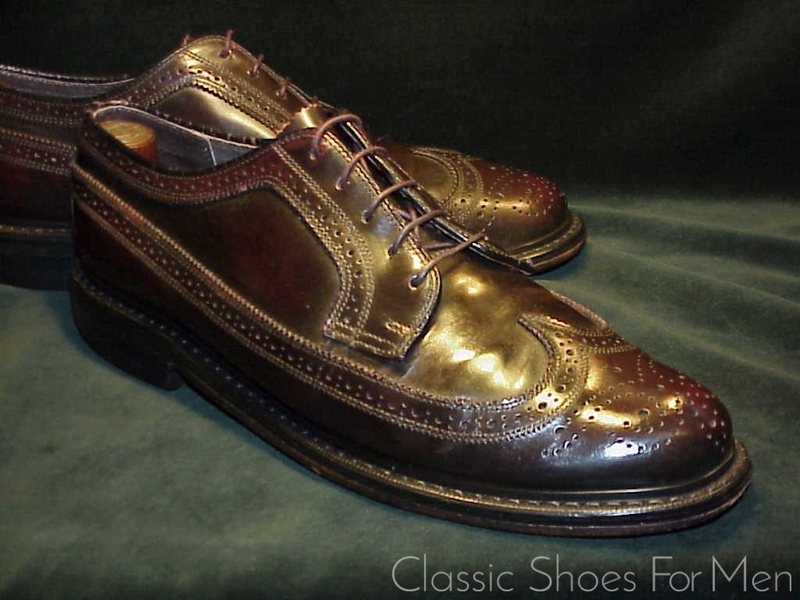 This particular Derby, most likely from the 1970s, is of special interest for utilizing the excellent grade of polished calfskin, easily mistaken for shell cordovan. This is the less common derby model, a marvelous classic in the old tradition of workmanship, a handsome and extremely durable shoe, with additional 360 degree storm welt, made by a first class American Jobber for rebranding by a contemporary retailer. 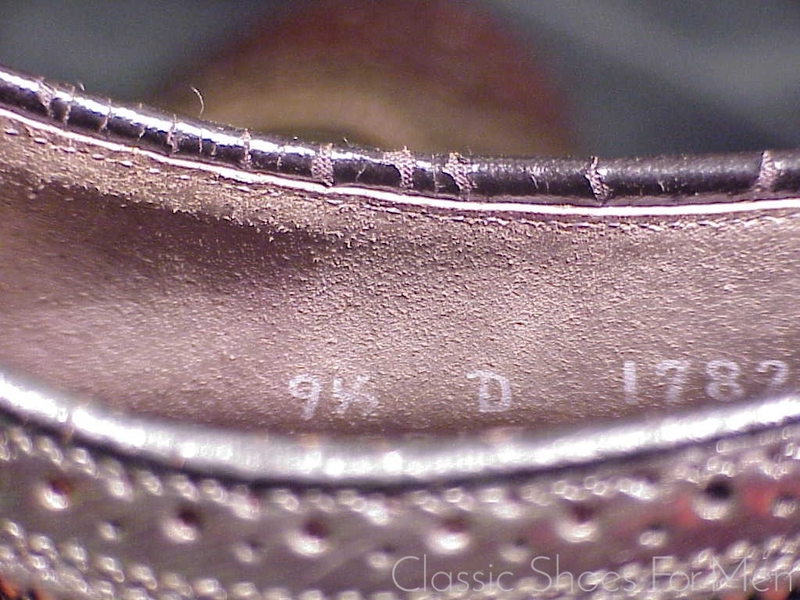 US 9.5D…..UK 8.5E…..European 42.5D, for the somewhat narrower foot. Excellent! Original sole modestly worn. 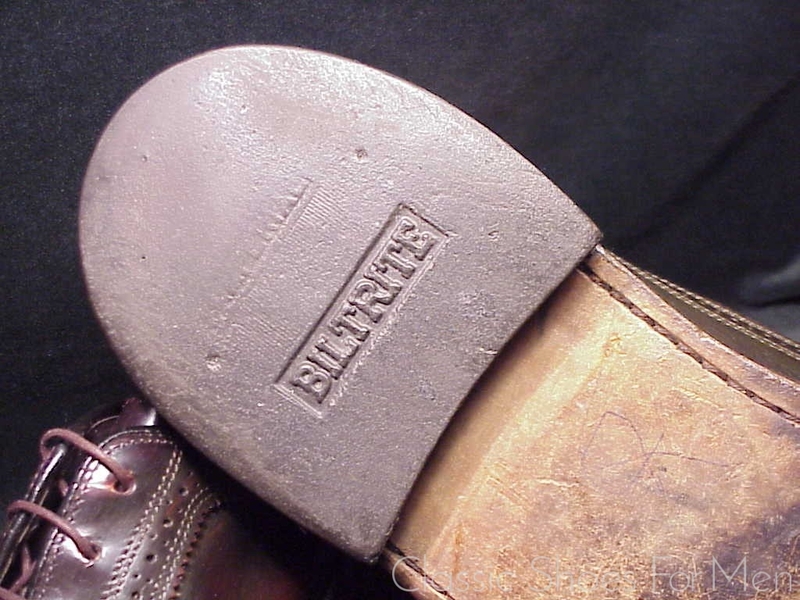 "Builtright" heels showing some wear.